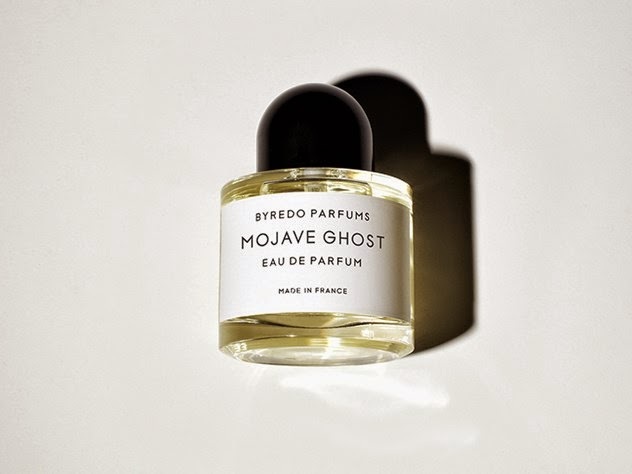 Inspired by the "xeric wilderness" of the Mojave Desert and an intriguing flower that thrives there, Mojave Ghost is composed of notes of Ambrette (a naturally musky scent derived from Indian hibiscus), (somewhat inexplicably) a tropical fruit called Jamaican nesberry, and more explicably violet, sandalwood and crisp amber. Anything based on the unlikely abundance of beauty that seeps out of the scarcity of the desert, I can get behind. Stay tuned for a test fest.